"Restoring & Preserving 1932-1953 Ford Motor Company Vehicles"
formerly the Ford Building, built for the 1935 San Diego Exposition. 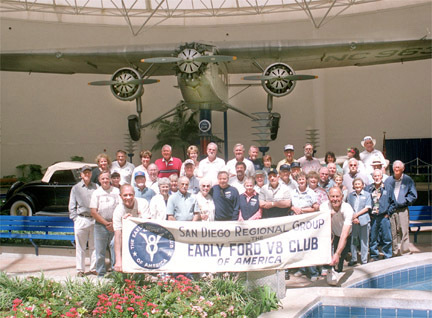 of America, was formed in 1969 when 25 V-8 enthusiasts gathered at Antique Automotive. ranging from show cars to unrestored "basket cases" waiting to be restored.